Phlebotomy technicians are healthcare assistants that take blood from patients in order to check for certain medical conditions. Working under the supervision of other technicians or laboratory managers, they help physicians diagnose patients. 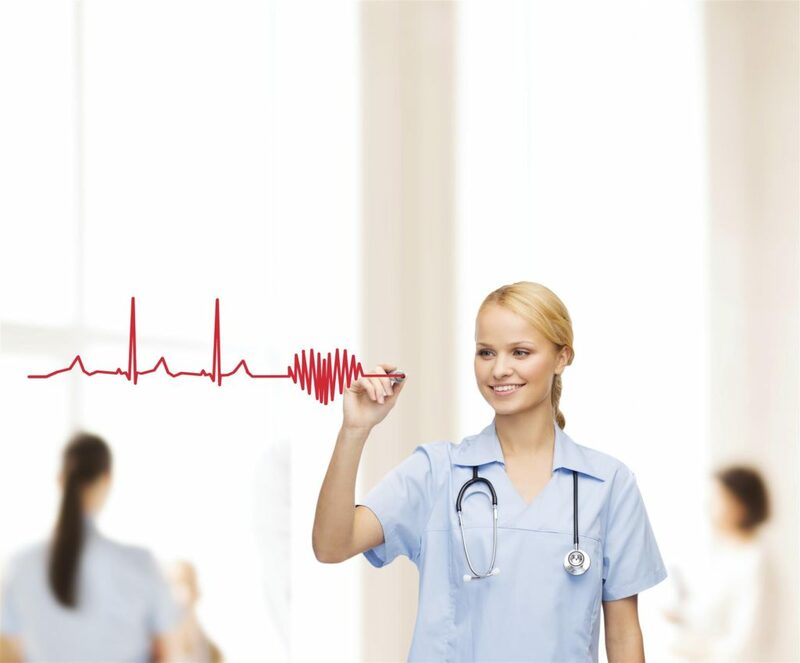 EKG technicians perform tests called electrocardiograms, which record the electrical activity of the heart. EKGs are used to detect irregularities in the rhythm of the heart and diagnose potentially dangerous cardiac or vascular conditions. While taking blood and monitoring the heart are two different skillsets, many medical training centers and healthcare institutions have combined them to create a joint program and unique job description. As the demand for trained medical assistants increases, the need for such technicians is expanding. Phlebotomy technicians frequently maintain proper hygiene by keeping venipuncture trays clean. In addition to taking blood, they may also be asked to do urinalysis tests. Such tests are often critical to diagnosing cardiovascular diseases or catching early warning signs of dangerous conditions ranging from heart rhythm irregularities to blocked arteries. Indeed, EKG technicians are on the front lines in the battle against heart disease. The EKG assistant must be able to place electrodes on a patient and then use a special EKG machine to obtain an accurate reading. They might also have to operate a treadmill during a stress test and monitor a patient’s progress as they walk or run. They should always be prepared for emergencies such as heart attacks or fainting spells. That means remaining calm and thinking clearly under pressure. Both phlebotomy and EKG technicians also explain procedures and gather medical history information. Calming a frightened or excited patient is frequently part of a day’s work. Since medical assistants are in direct contact with patients on a daily basis, they must have good interpersonal skills, including the capacity for empathy and the ability to communicate easily. Although a high school diploma is sufficient in some cases, most employers require special training. Thankfully, more and more schools are providing the necessary education to prospective technicians. Nowadays, many programs such as ABC Training Center’s EKG and phlebotomy training in NYC offer education in both specialties. Requiring a high school diploma (OR the passing of a free entrance exam) upon admittance, the training program provides 96 classroom hours to prepare you to pass the national certification exam. Nowadays it’s easier than ever to launch a successful and rewarding career as a medical assistant. An EKG and phlebotomy training program is a great place to start.